The 140 was designed from the ground up. I have not seen any measurement of its aerodynamic efficiency, but there are several elements taken from other designs that are known to be aerodynamically efficient. The split grille theme of the Amazon in a modern surround..
On a scale from 0 Cd drag to 2 Cd aeroplanes are much more efficient than cars. A fifties design like the Cessna high wing monoplane has a Wikipedia Cd value of 0,027, while a wellstreaming car is around 0,3 Cd. That means that a plane is closer to the theoretical value of no resistance than it is to an automobile driving on a road. Two factors limited the car compared to the plane. 1 Air streaming under the car was not prioritized. It seems ground clearance was. 2 A car cannot have the theoretically ideal form of a falling waterdrop. Only high speed recordbreakers can be shaped like that. To see what happened if one cut off the long tapering body of the ideal shape, Wunibald Kamm found that a cut-off rear end did not loose much to a long tail, but gained in practicality. The most famous car of this construction is the Ferrari 250 GTO. It was not the first and not the last. Alfa Romeo made the Giulia Berlina in 1963 and it is said to be more aerodynamically efficient than a Porsche 911. 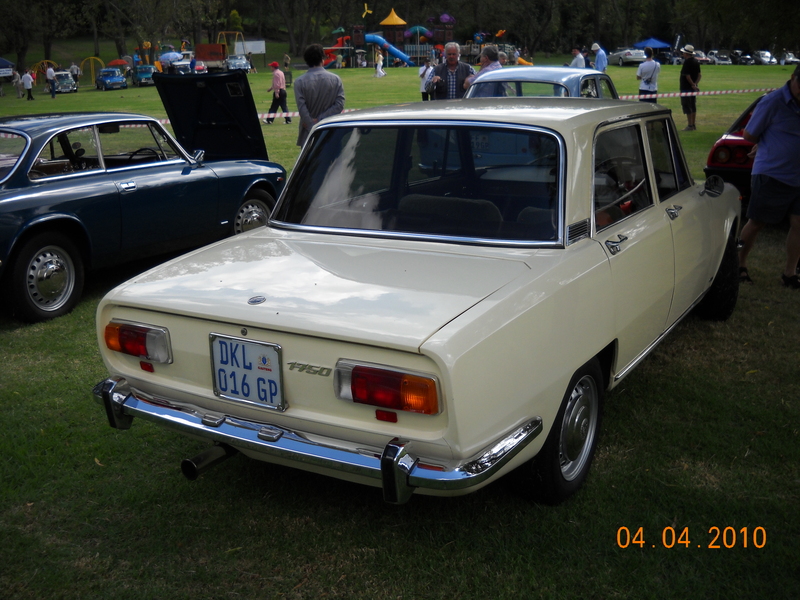 Then the Alfa Romeo 1750 Berlina arrived a year after the Volvo. The Volvo has a frontal aspect common for its day and of Italian inspiration. 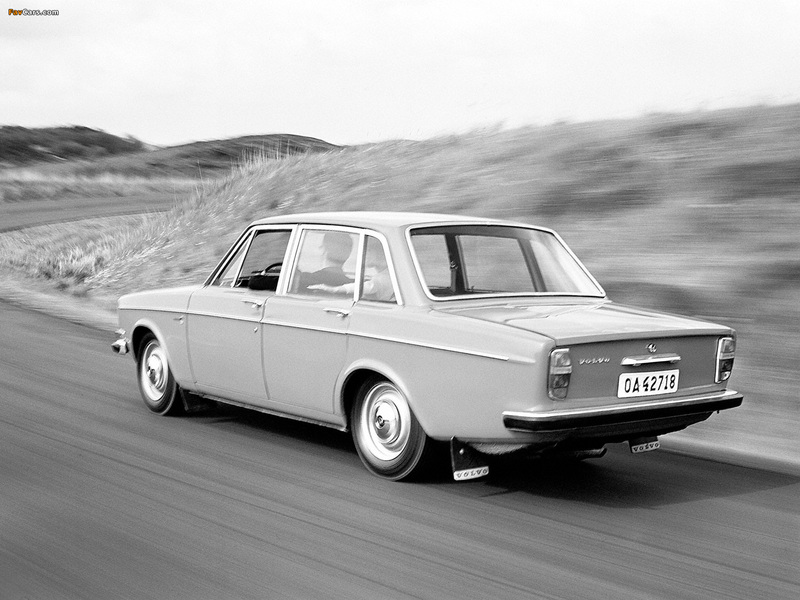 Volvos prototypes are interesting. The 140’s roofline shows the first signs of the drooping line with a sharp cut-off. Below the rear window is a cabin pressure air outlet with an impression in the luggage lid to regulate the air stream. Then comes the rest of the Kamm design. The abrupt cut-off and a sunk-in rear panel. No wonder the accessories aftermarket made tail-lips to imitate the Ferrari 250 GTO. But then, what happened to the cabin pressure? We shall probably never know how efficient a design the 140 series was. The original shape was completely ruined with the the 240 series. We can only hope they saved lives and health. I think that Volvo had been taken over by circumstance and the environment after the 140. It was a neat and interesting design culminating with the 164, the last of the Gothic-Latin lineage. The inspiration came from Lazio to Gothenburg with the Bergman/Rosselini Ferrari road trip.